You can access the full Vermont Employment Law Manual (over 40 state-specific reference resources) and Employee Handbook templates (over 10 state-specific handbook policy templates) below, as well as view key state and municipal deadlines, additional state-specific resources and links to key municipal coverage. Does This Law Apply to My Organization in Vermont? Updated guidance to reflect developments relating to the investigation of, and use of agreements and waivers regarding, sexual harassment claims, effective July 1, 2018. As mandated by the Vermont Department of Labor, employers covered by the Vermont Fair Employment Practices Act must post the Vermont Crime Victims Leave Poster. Updated to include state crime victim leave notice-posting requirements. Updated threshold, statement and guidance to reflect additional protections for crime victims, effective July 1, 2018. 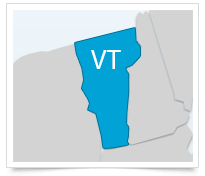 A round-up of the comprehensive state coverage XpertHR offers to help Vermont employers ensure they are compliant with state HR and employment laws.